Molybdenum target mammography examination grades are a diagnostic report of the breast, generally divided into 0-6 grades. The 0, 4, and 5 grade is the positive evaluation and 1, 2, 3 grade is the negative evaluation. 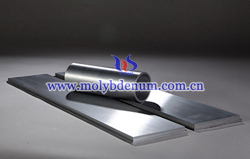 Molybdenum target 0 grade: it can not be qualitative and need to combine other checks for analysis. Molybdenum target 1 grade: Mammography showed breast structure clear and no lesions showed that can be sure no abnormal or normal. Molybdenum target 2 grade: It can be sure of benign breast masses. Molybdenum target 3 grade: Almost positive, it must be emphasized that this grade is not the type of uncertainty, but for mammography, it is less than 2% chance of malignancy (that is, almost all benign). Molybdenum target 4 grade: It used to describe the need for interventional treatment but less malignant lesions and the risk of malignant is 3 to 94%. Molybdenum target 5 grade: It used to describe lesions that are almost certainly breast cancer. Molybdenum target 6 grade: This is an additional classification that is used for image evaluation has been proven to be malignant but not yet treated by pathologic biopsy. If you have got any interest in molybdenum metals, please feel free to contact us by email: sales@chinatungsten.com, sales@xiamentungsten.com or by telephone:86 592 512 9696/86 592 512 9595.